Globe Imposter Ransomware is a new malware threat that renames files with the .virginprotection extension, read our removal guide to learn more about it. 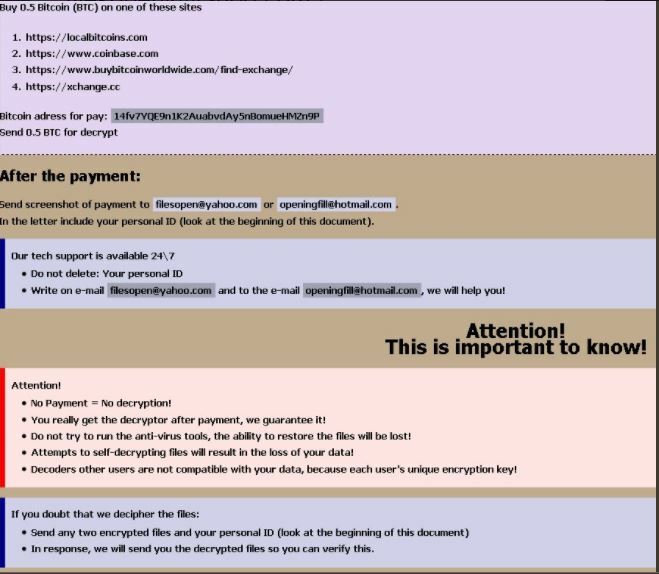 How Does Globe Imposter Ransomware Infiltrate the System? The Globe Imposter has been released in several different large-scale attack campaigns. The first instances have been reported back in 2016 where hacker operators launched the ransomware in a slightly different configuration. The main attack tactic is the use of email spam messages that pose as being sent by legitimate companies or institutions. The Globe Imposter virus is either attached directly or linked in the body contents. Other methods of getting infected with the Globe Imposter ransomware is by falling victim to web redirects, malicious scripts or infected payload droppers. They are usually located in office documents or software installers that are modified by the hackers. Such Globe Imposter ransomware instances are hosted on hacker-controlled sites and P2P networks. Security researchers discovered a new malware that pretends to be of the Globe malware family that is simply being called Globe Imposter Ransomware. The initial analysis shows that its code does not contain any traces of the actual Globe ransomware. It is probably an original development that has been made by its operators – an unknown hacker or criminal collective. 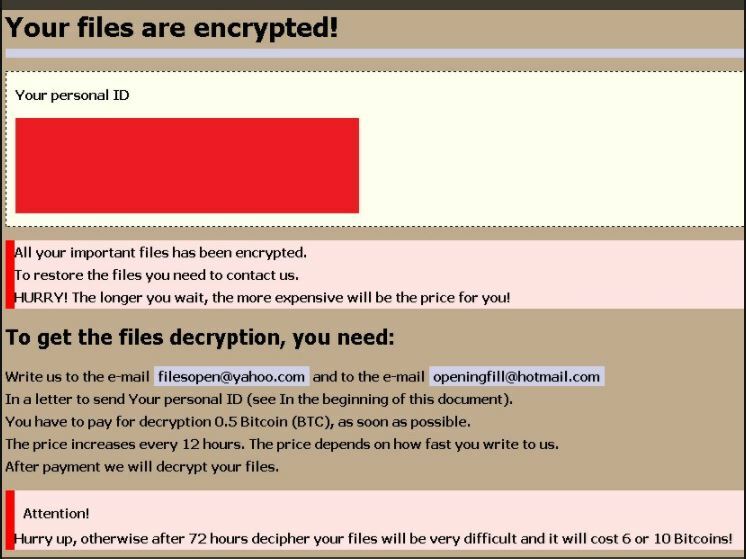 The captured samples associated with the Globe Imposter Ransomware seem to be in an early stage and only contain a basic encryption engine. No additional modules have been detected. More complex related viruses impose Trojan components that actively spy on the users. Additional virus infections can also be caused by such ransomware. Upon infection the encryption engine is automatically started. It follows the built-in file type extensions list that is generated with each attack campaign. The criminals seek to process as many files as possible: documents, archives, backups, music, photos, videos and etc. When this is complete the .virginprotection extension is used to mark all affected files. All your important files has been encrypted. To restore the files you need to contcat us. HURRY! The longer you wait, the more expensive will be the price for you! You have to pay for decryption 0.5 Bitcoin (BTC), as soon as possible. The price increases every 12 hours. The price depends on how fast you write to us. After payment we will decrypt your files. Hurry-up, otherwise after 72 hours decipher your files will be very difficult and it will cost 6 or 10 Bitcoins! Write on e-mail [email protected] and to the e-mail [email protected], we will help you! No payment = No decryption! You really get the decryptor after payment, we guarantee it! Do not try to run the anti-virus tools, the ability to restore the files will be lost! Attempts to self-decrypting files will result in the loss of your data! Decoders other users are not compatible with your data, because each user’s unique encryption key! In response, we will send you the decrypted files so you can verify this. The victims are blackmailed to pay a ransomware fee of 0.5 Bitcoins to the hackers. This is the equivalent of about 1300 US Dollars. The well-known tactic of raising the sum in short intervals of time can place further pressure on the victims. WARNING! Manual removal of Globe Imposter Ransomware requires being familiar with system files and registries. Removing important data accidentally can lead to permanent system damage. If you don’t feel comfortable with manual instructions, download a powerful anti-malware tool that will scan your system for malware and clean it safely for you. WARNING! All files and objects associated with Globe Imposter Ransomware should be removed from the infected PC before any data recovery attempts. Otherwise the virus may encrypt restored files. Furthermore, a backup of all encrypted files stored on external media is highly recommendable.